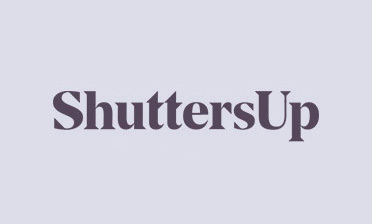 Daniel was recently in Hampstead Heath in London to install shutters to a loft space of a new client’s home. 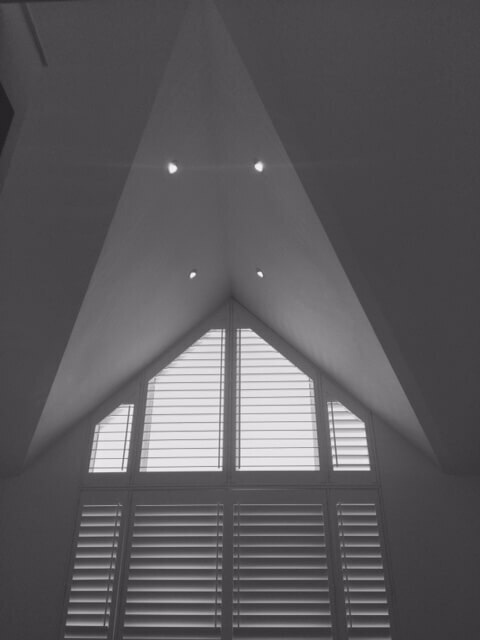 The window and opening was an irregular shape due to the windows design and the recess being shaped into the properties roof. 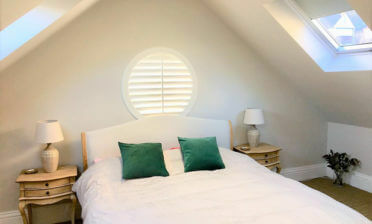 When it comes to fitting window dressings into awkward shapes such as this, no solution can match that of our bespoke shutters. 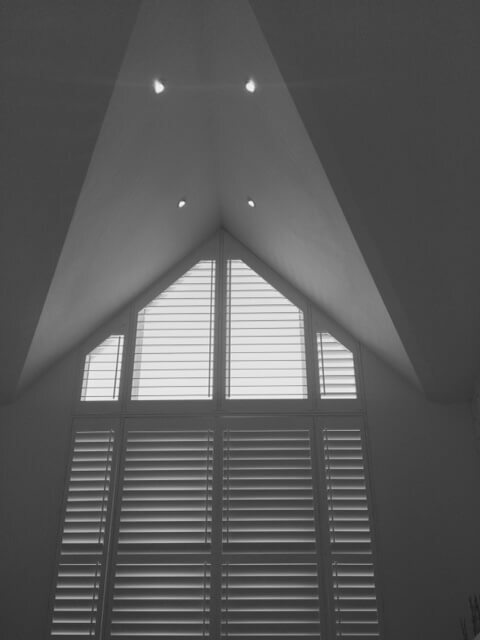 Because all our shutters are custom made to fit all angles and contours, we can guarantee a millimetre perfect fit each and every time! 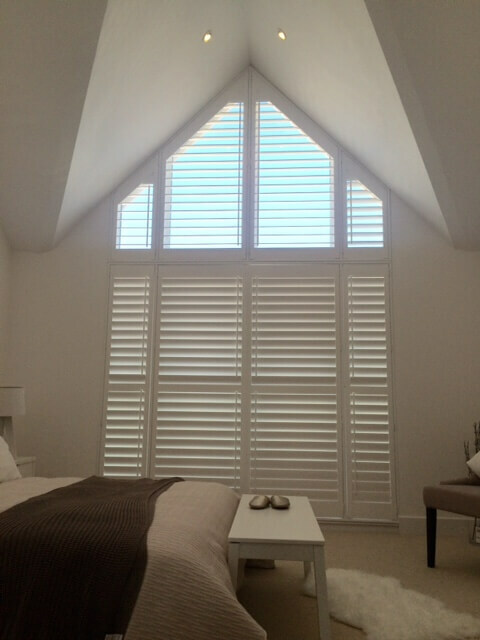 The shutters were created using wood from our Fiji Range which is one of the best in our range when it comes to custom shaping. It is also renowned for its rigidity, can be installed almost everywhere and can be finished in a large amount of paints and stains to suit the room. 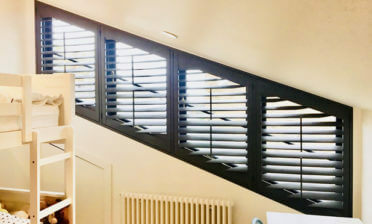 The shutters were created using 64mm louvres with offset tilt rods to operate them. They were finished in Pure White paint with matching white hinges. The overall solution creates a modern feel while being highly versatile for the homeowner.